We’d love to hear about your project. 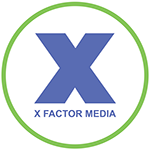 Fill out our general form on the right to receive a speedy reply from the X Factor Digital Marketing Team. Interested in Digital Marketing Updates?